Clean and slice the chicken gizzard into bite size pieces. In a pan add the chicken gizzard, chili powder, turmeric powder, pepper powder, garam masala, ginger paste, 1 cup water and cook till done and the water evaporates. 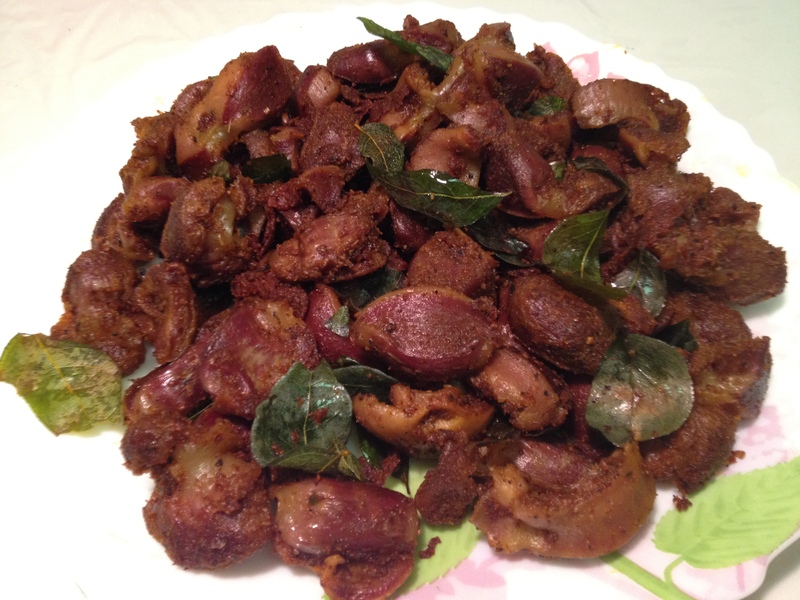 Into the same pan, add 3 tbsp oil, curry leaves and garlic slices. Fry well on medium flame. 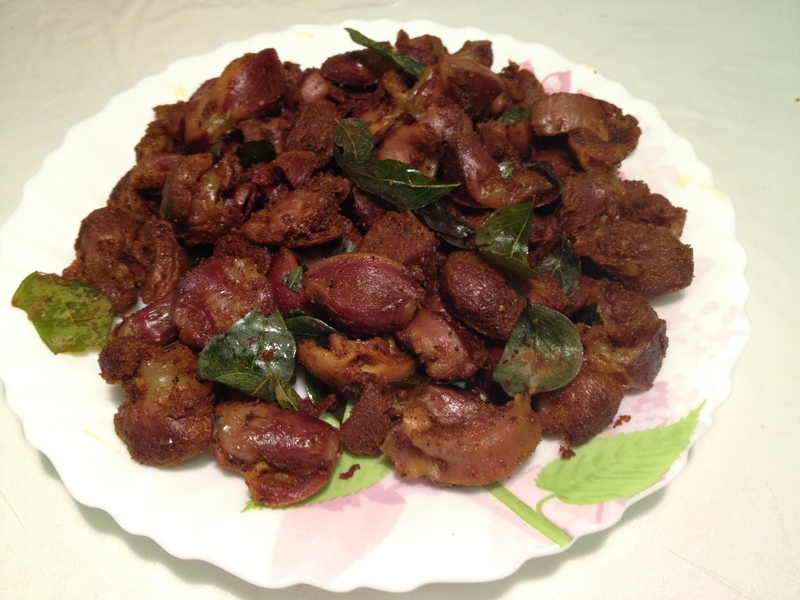 This entry was posted in Appetizer: Non-Veg, Snack and tagged chicken gizzard by PriyaBaby. Bookmark the permalink.